The purpose of this quick guide is to explain the entire purchase/rehab/resale process of an under market value Texas investment property to the new investor. If you have questions, please contact us. You can read the entire guide on this page, or download it as a PDF. Congratulations on purchasing your first distressed property sale with John Majalca and TexasCashFlow.com. We have been buying, selling and investing in affordable San Antonio real estate since 2001, and know you will enjoy excellent, long term cash flow from your new investment property. The purpose of this short document is to briefly explain the process involved with acquiring, rehabbing, and reselling your fixer upper home.There also is a short FAQ where we address the most common investor questions about their fixer upper. If you still have any questions at all after reading this, please get in touch with Joseph Pickett at (210) 816-4280 or contact us. For more information about our investing history and philosophy, kindly review our Investment Prospectus. If you don’t have a copy, please email us. I. I Just Bought the House. Now What? We send the signed contract to our official closer – West & West Attorneys at Law, P. C., 2929 Mossrock, Suite 204, San Antonio, TX 78230. At this time, a title search is completed. Any title issues will be cleared up before closing is scheduled. Closing date on the property investment is scheduled which can be handled via email or regular mail. Closing can be in 24-48 hours in most cases. John Majalca will send you the official rehab bid on your property. Payment is sent typically in two draws – one at the start and the rest upon completion. After closing of the distressed property sale, we will request that you contact the utility companies to have water and power service activated (CPS Energy – (210) 353-2222; SAWS Water – (210) 704-7297). Please be sure to have bills mailed to your home address. We try to start the rehab of the positive cash flow property investment as soon after closing as possible. Work may be initiated before power and water is turned on if possible. We complete most rehabs in 21 days or less; more extensive rehabs are completed in 45 days or less. We will stay in frequent touch with you by phone and email to provide details on rehab progress. We also send pictures of rehab progress, and final rehab results. As soon as all rehab is completed and trash is hauled away, we take detailed listing pictures. Then the property is listed on the MLS, on Craig’s List, and also advertised on signs in the neighborhood and through word of mouth. We will keep you updated each week on progress in reselling your house, whether it is retail, cash to investor or owner financed. When we get an offer on your distressed property sale, John Majalca will send you the contract and will call you to discuss it. He will provide his recommendations for a counteroffer. Once the final offer is agreed upon, we will set up the closing just as before when you bought the positive cash flow property investment. Your house has been sold! It will begin generating positive cash flow very soon. You can opt to have your buyer/renter either mail you a check/certified check, or have them send you an electronic deposit to your account each month. We will continue to stay in touch with you regarding your property. Please contact us if you ever have any questions or issues. We also will continue to send you new investment deals as they become available each month. Note that property taxes are due in October. You can pay them online with the Bexar County Tax Authority. 1. How long will it take to resell my house? Like almost anything, it depends. It depends upon market conditions, house location, price, rehab, how close it is to schools and the highway, and many other factors. It really is no different than putting your own residence on the market. How long will it take to sell? It depends. In some cases, we have investor properties sell in one week. In other cases, it takes 30 days, 60 days, or 90 days. Some cases take 120 days or up to six months, which is usually the worst case scenario. We find that the median days on market is 60 days. The best advice we have is: Be patient. Getting wealthy is a long term process, and rarely occurs in a day or a week. Also, we strongly advise that you trust the judgment of John Majalca on what to do with the house and how much rehab to complete. If you decide to save money on the rehab, it probably will take longer to sell. You should leave enough reserves after property acquisition to complete the recommended rehab. 2. What happens if I have to foreclose? If you have owner financed your house to a qualified buyer, there always is the possibility that you could have to foreclose in the future. People die, lose jobs, get divorced and get sick. Bad things can happen. If your buyer is ever 30 days late, please contact us. We will reach out to your buyer and see what is going on. Our goal is to not take a property back. We prefer to work it out with the buyer and to get them back on track. They may have assets available that can get them caught up, such as a 401k account. We will try to get them to tap that to catch them up. However, if they miss another payment, we usually advise that you start the foreclosure process. West & West Attorneys at Law, P. C. handles foreclosures for us. We will initiate the process for you and will keep you informed by phone and email. The total process costs $500-$1000, depending upon when the buyer decides to vacate. Texas is an easy foreclosure state, and the house usually is vacated in 60 days or less. Once the house is empty and clean, we will help you to resell it. 3. How many houses end in foreclosure? Again, it depends upon many factors. If the economy is strong, we may see zero foreclosures in our company in a year. If the economy is slower, we could have 20-30% of our houses foreclose. As investors ourselves, we do not worry about foreclosures. Just as vacancies are part of the rental business, foreclosures are part of the owner finance business. The house is vacated quickly, and in most cases, we get the house back in better condition. We resell it for the same price or even more – $5000 down again. We make a standard 3% commission on the house – when we wholesale it to you, and again when we sell it for you. The latter can go up to 6%, if there is another agent involved in the sale. 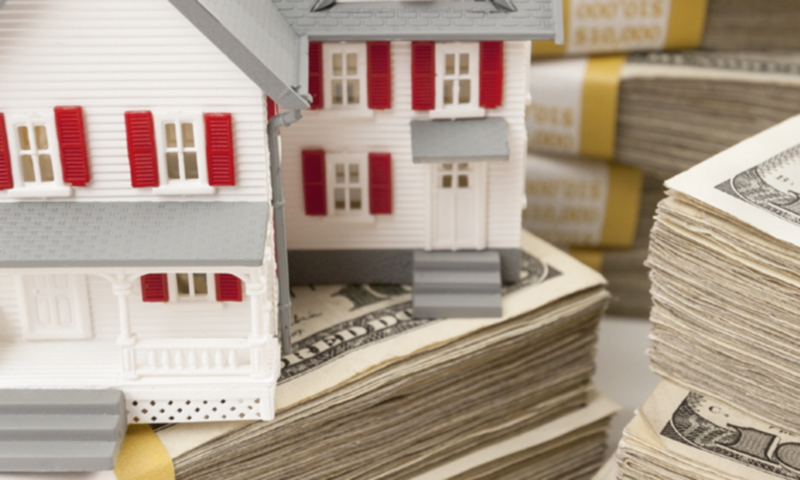 It should be noted here that reselling a house with owner financing is a process. It involves considerable work on our side – fielding sometimes 100+ phone calls from potential buyers, plus all of the paperwork and negotiating. Our small profits on these transactions are well earned. 5. How do you qualify end buyers? All buyers must be workers, preferably a two income family, both with documented income. We like to see bank statements, tax returns and pay stubs, and get at least $5000 down. On some of the more affordable houses, such as ones wholesaling for less than $60,000 owner finance, we may be less stringent on requirements. We will communicate with you by phone and email when we get a potential buyer for your property. Yes. We can provide you with cash buyer references, cash investor references, and also a reference from our closing title company. For current projects and cash investor references, kindly contact Joseph Pickett (210) 816-4280, jmpickett@gmail.com, www.TexasCashFlow.com.